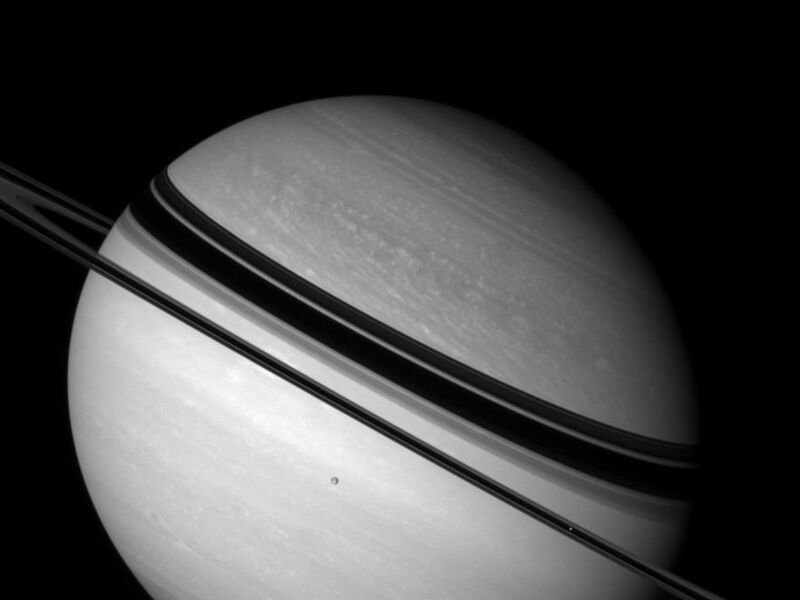 Shadow-draped Saturn rests on its side as two icy moons glide past. 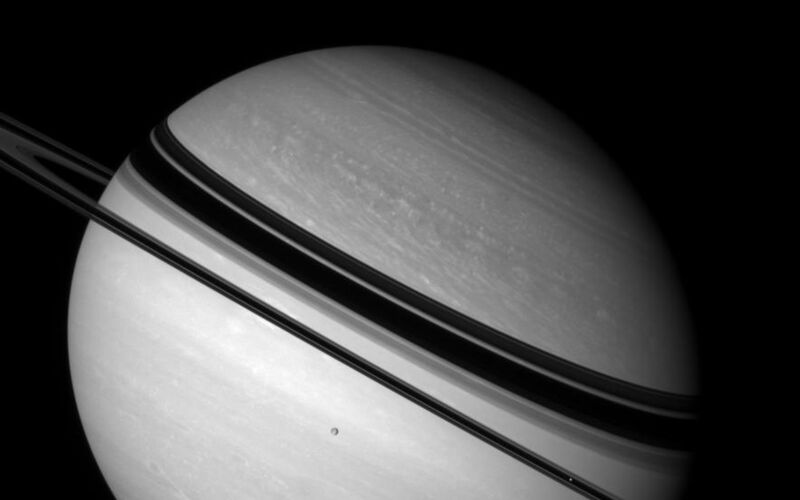 Dione (1,126 kilometers, or 700 miles across) hangs against the planet's bright southern hemisphere. Mimas (397 kilometers, or 247 miles across) is a bright speck against the unlit side of the rings, near lower right. This view looks toward the unilluminated side of the rings from about 2 degrees above the ringplane. The image was taken with the Cassini spacecraft wide-angle camera on Oct. 31, 2007 using a combination of spectral filters sensitive to wavelengths of polarized infrared light centered at 752 and 705 nanometers. The view was acquired at a distance of approximately 2.7 million kilometers (1.7 million miles) from Saturn and at a Sun-Saturn-spacecraft, or phase, angle of 25 degrees. Image scale is 158 kilometers (98 miles) per pixel.